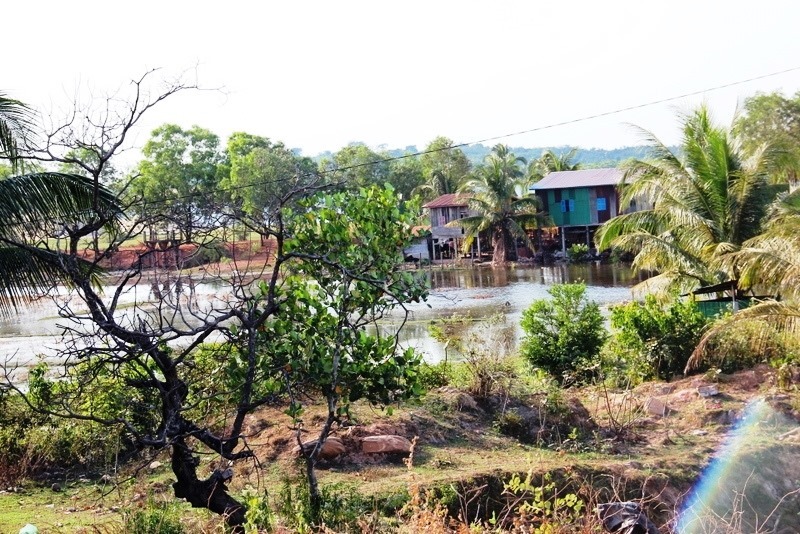 This is the third article in a four-part series about the Cambodian Coast. 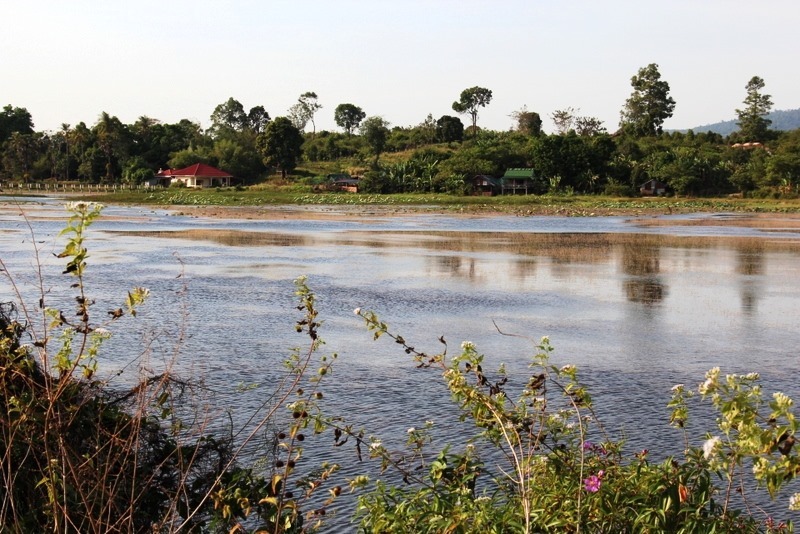 This blog post is about the Cambodian coastal wilderness, Botum Sakor National Park, and Peam Krasaop Wildlife Corridor. 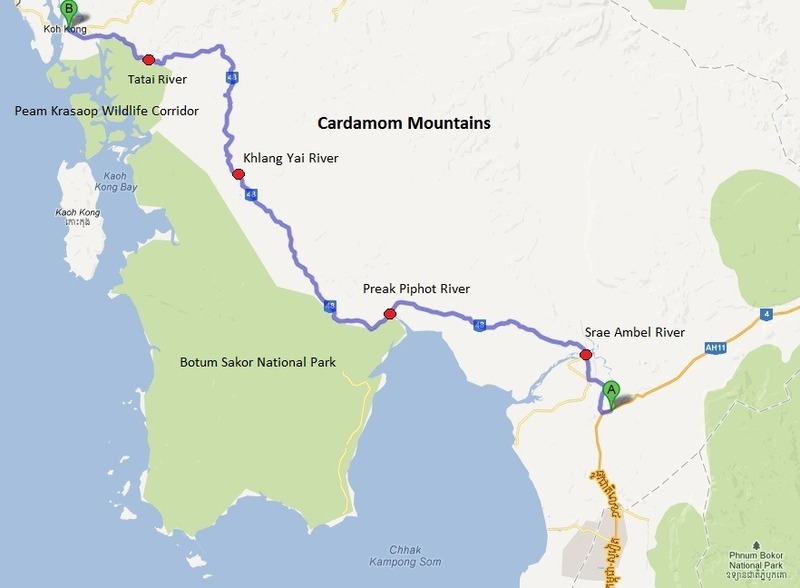 The first two articles featured National Highway 4 southwest of Cambodia’s capital, Phnom Penh, and National Highway 48 along the western coast. 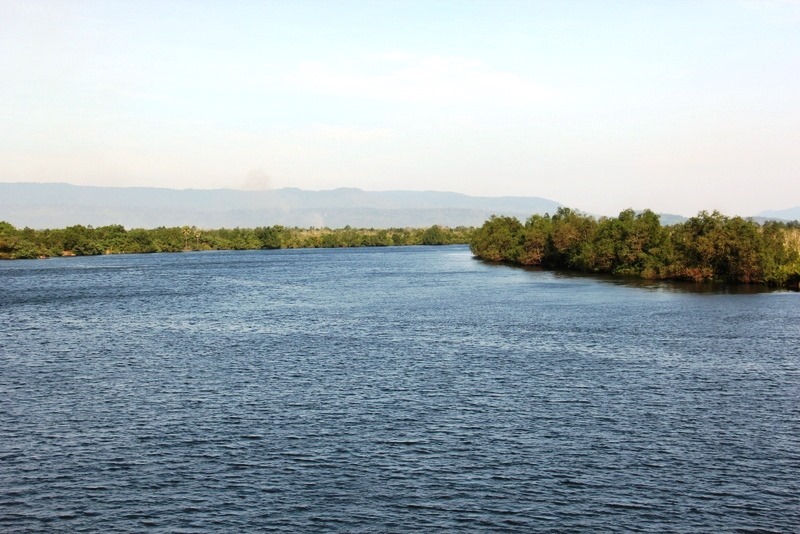 The final post will focus on the Koh Kong, a coastal city in western Cambodia and the Cambodian-Thai border. 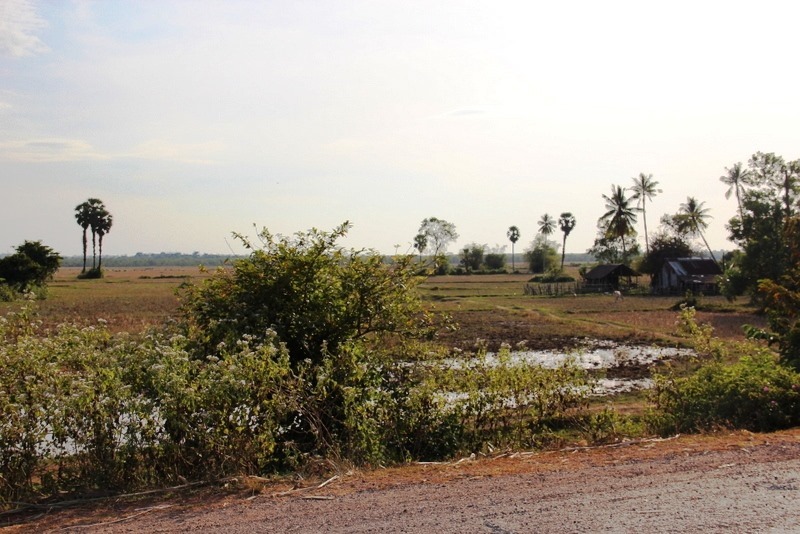 This series is intended to be a resource for those interested in touring the Cambodian coast. 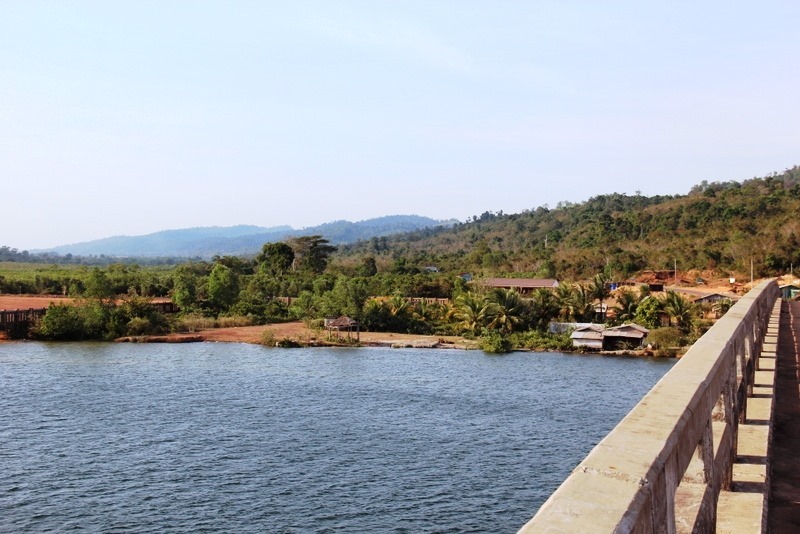 When my family and I visited Cambodia in December 2012, we drove from Phnom Penh to the city of Koh Kong on the Cambodia-Thailand border. 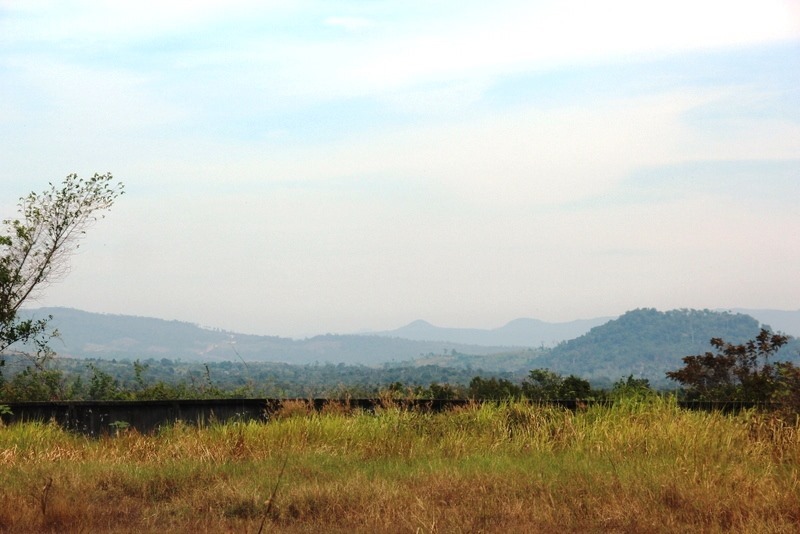 Along the way we passed through the country’s pristine southwestern wilderness. 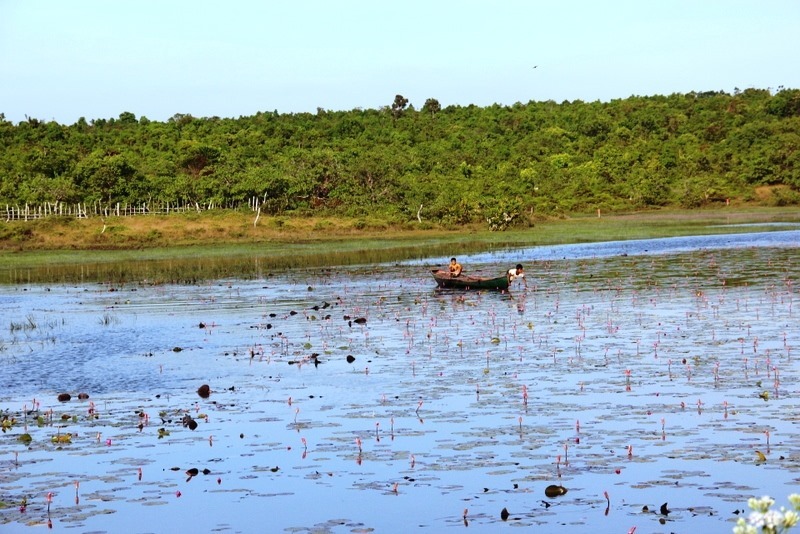 To the south, Botum Sakor National Park lay on a peninsula between the Gulf of Thailand and Kampong Som Bay. 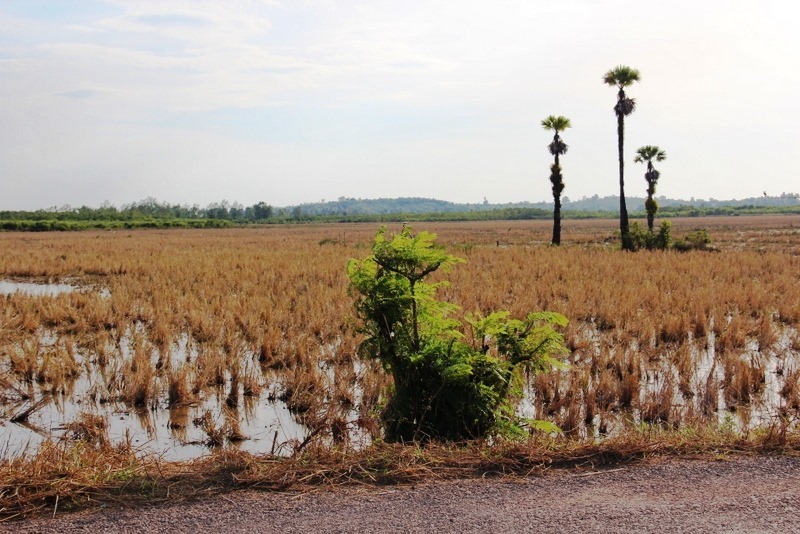 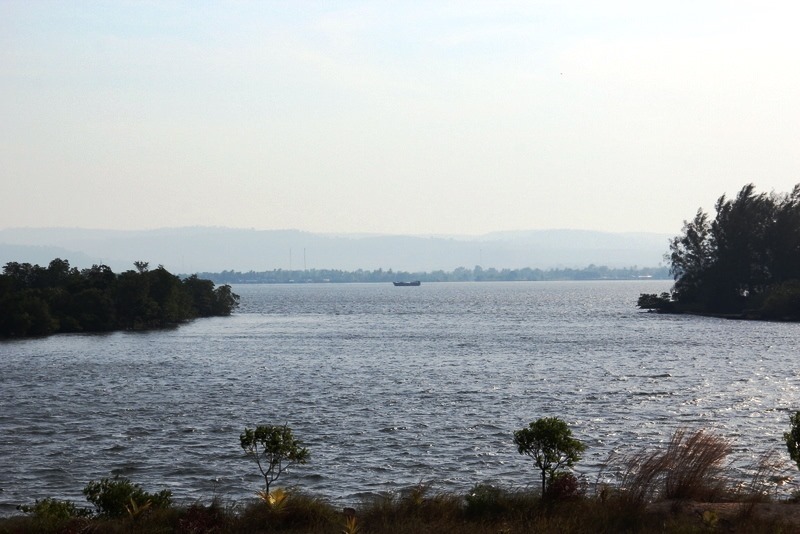 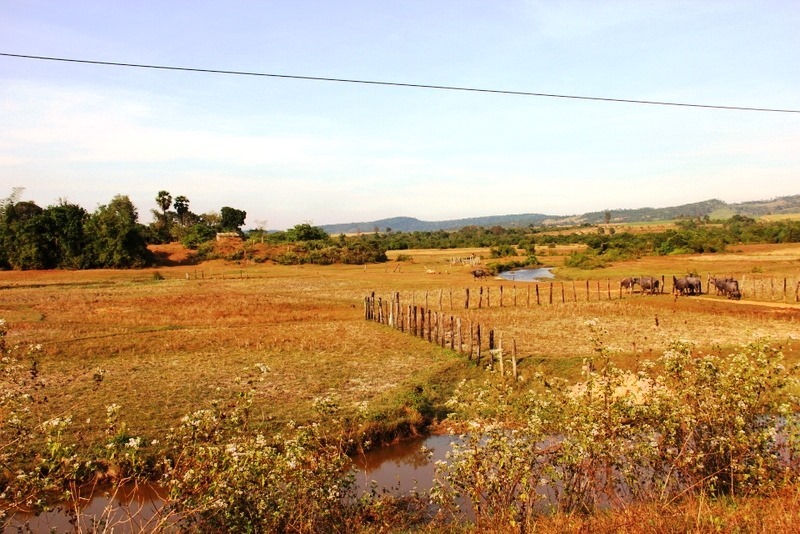 To the west, the Peam Krasaop Wildlife Corridor hugged the coast near the city of Koh Kong. 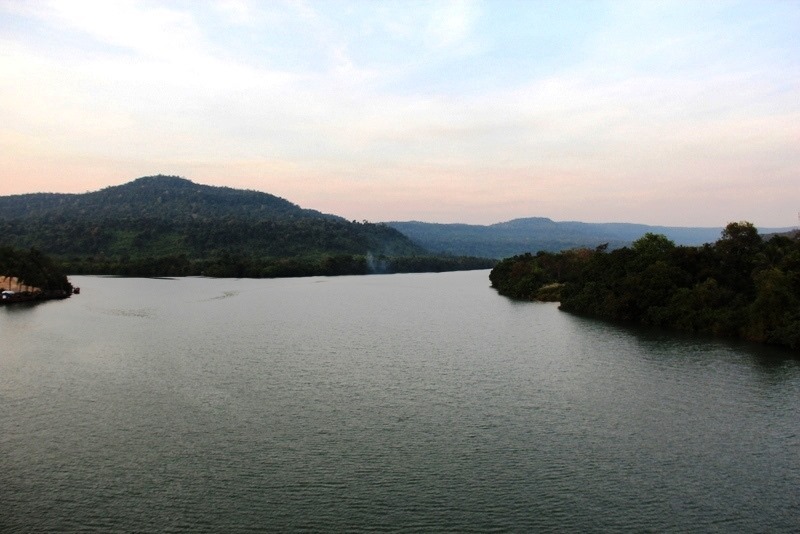 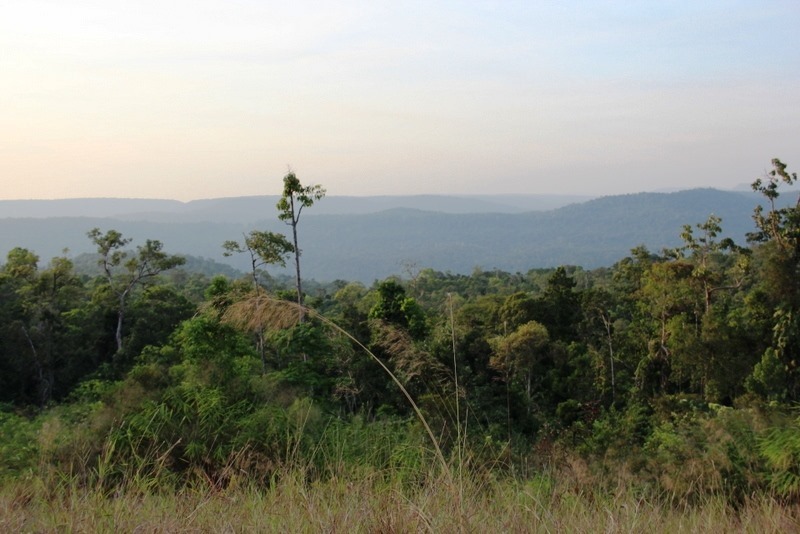 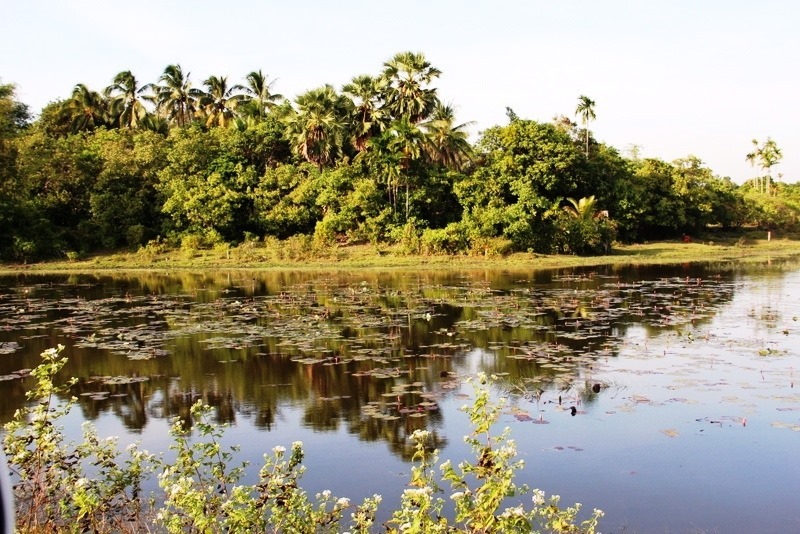 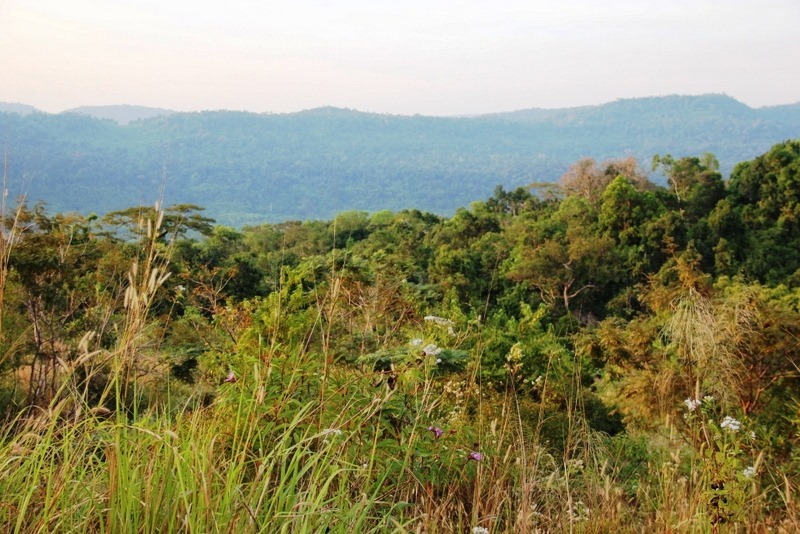 To the northeast, the rolling Cardamom Mountains stretched from Thailand to the coast. 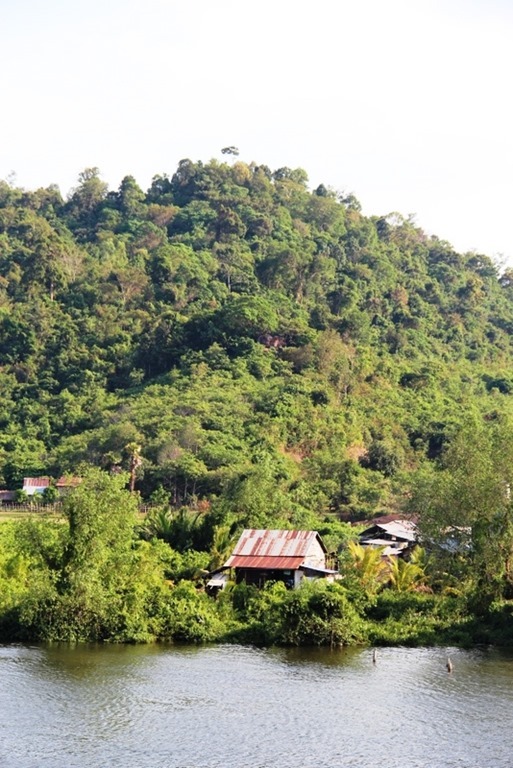 It’s a spectacular triangle filled with scenic beauty in one of the most isolated corners of Southeast Asia. 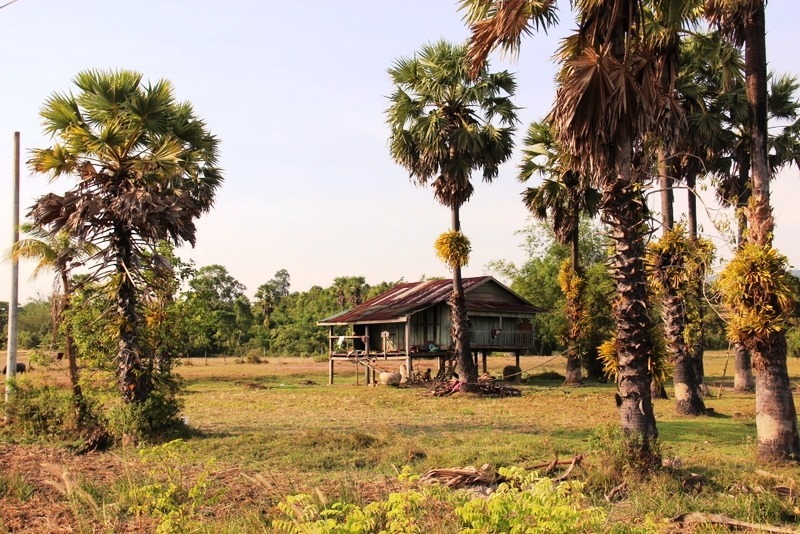 Home to the second-largest wilderness in Southeast Asia (the largest is in Burma/Myanmar), the Cambodian coast has one of the largest native forests still left in Southeast Asia. 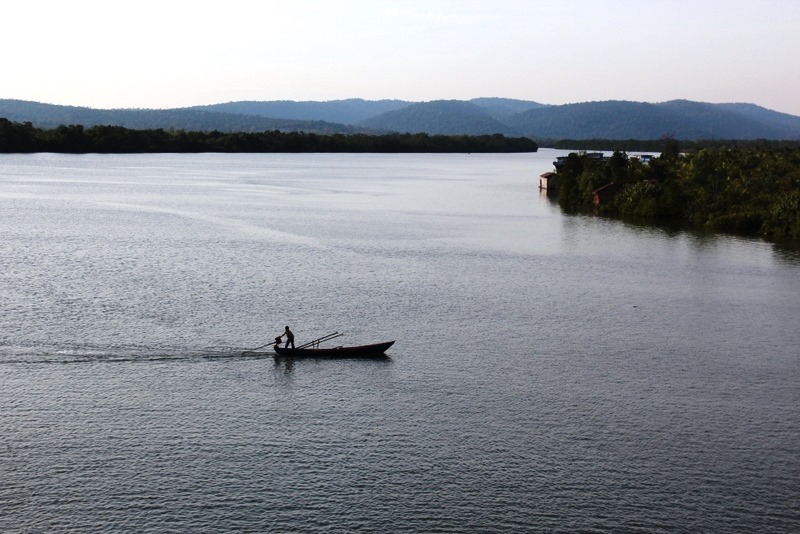 It’s a place rich in beauty and diversity explored by few. 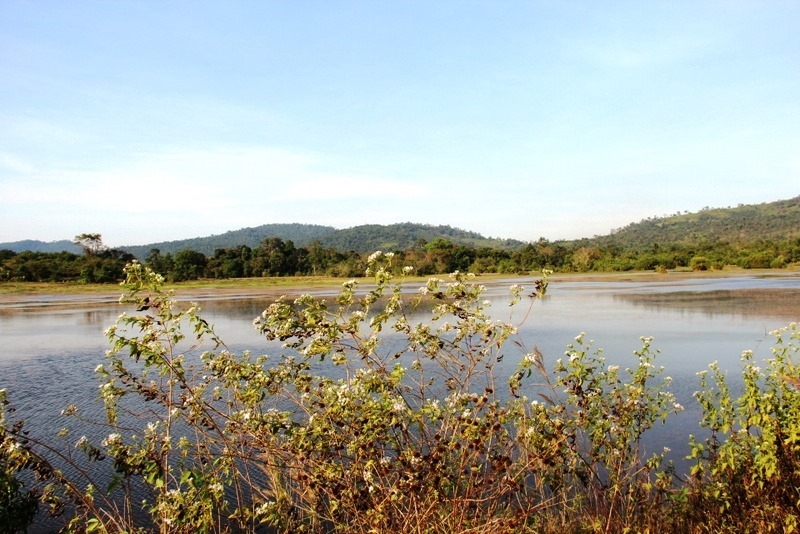 Wildlife inhabits the forests and wetlands along the coast. 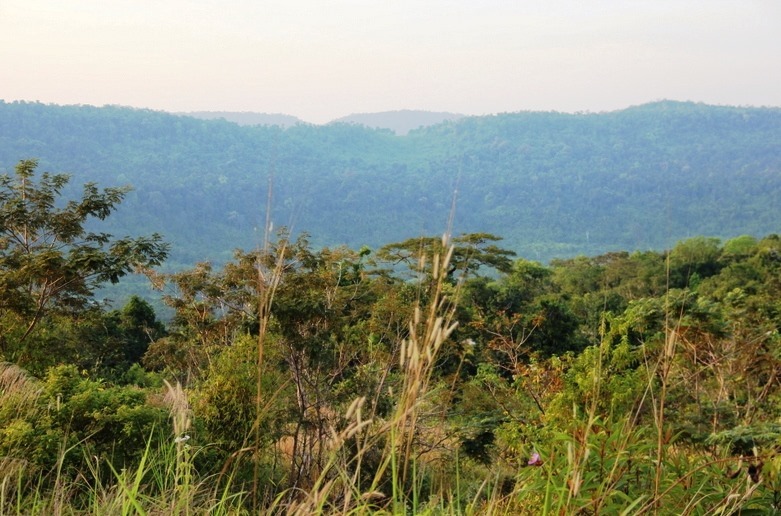 Although there have been reports of illegal logging, poaching, and development in the area that may have had an affect on the local ecology and threatened local wildlife, it was unclear how widespread the damage was when I passed through. 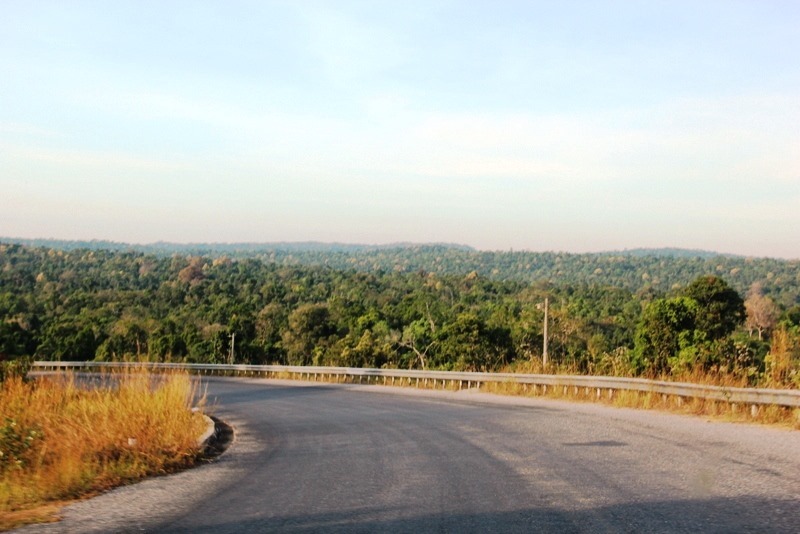 Improvements to National Highway 48 have made the region more accessible to people but also increased the human footprint here. 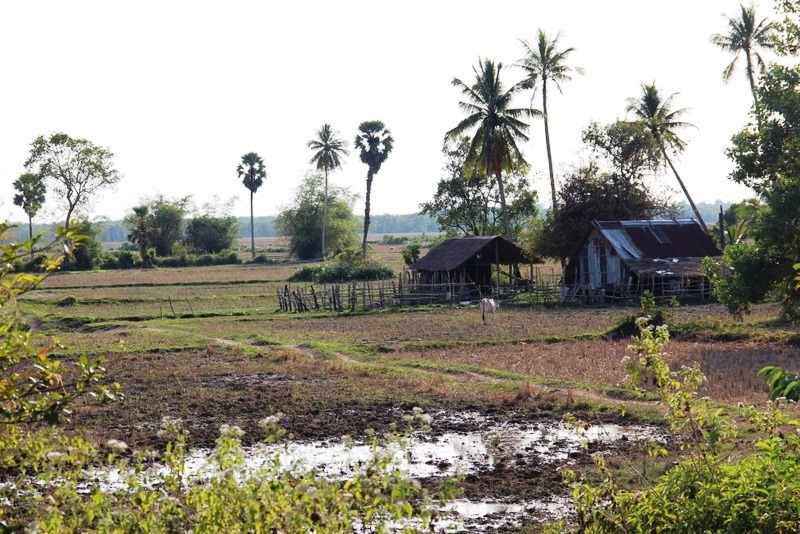 We saw some incredibly beautiful scenery during our drive through the Cambodian wilderness. 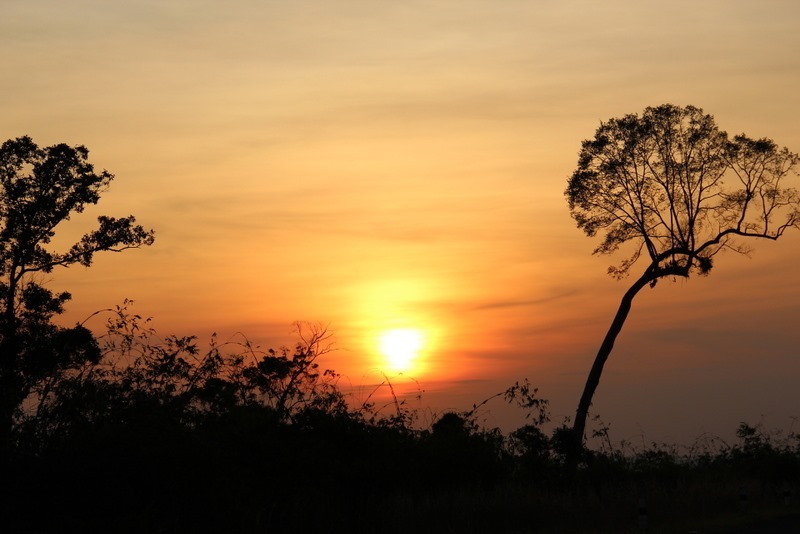 Here are some of the best landscape shots. 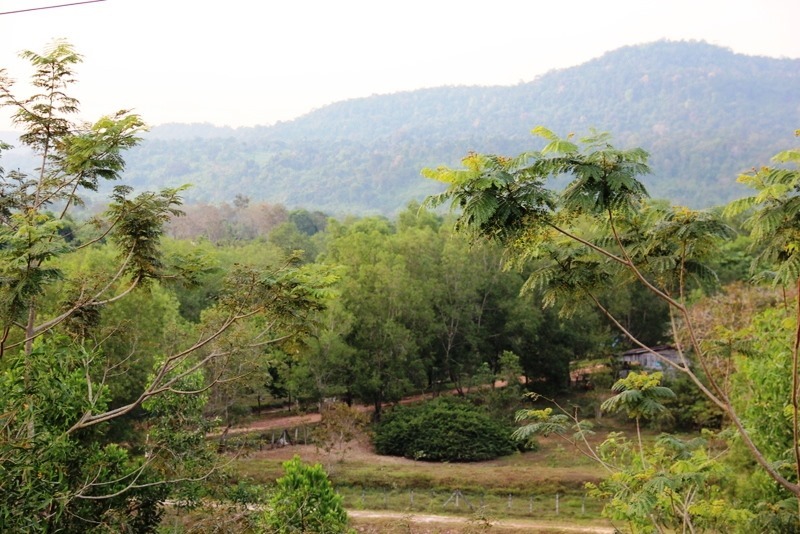 As far as we could tell from our limited vantage point, humans seemed to coexist harmoniously with nature. 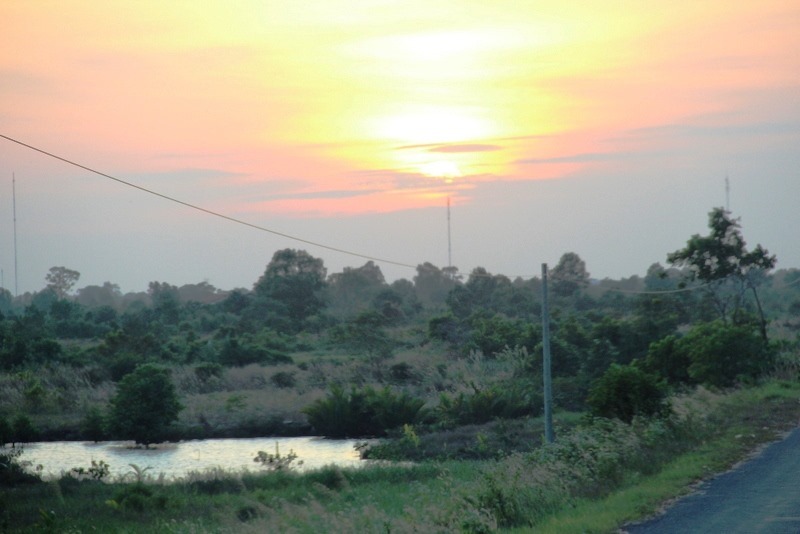 While there was some clutter such as a broken-down vehicle and road-side litter along, the local residents seemed to take care of their environment. 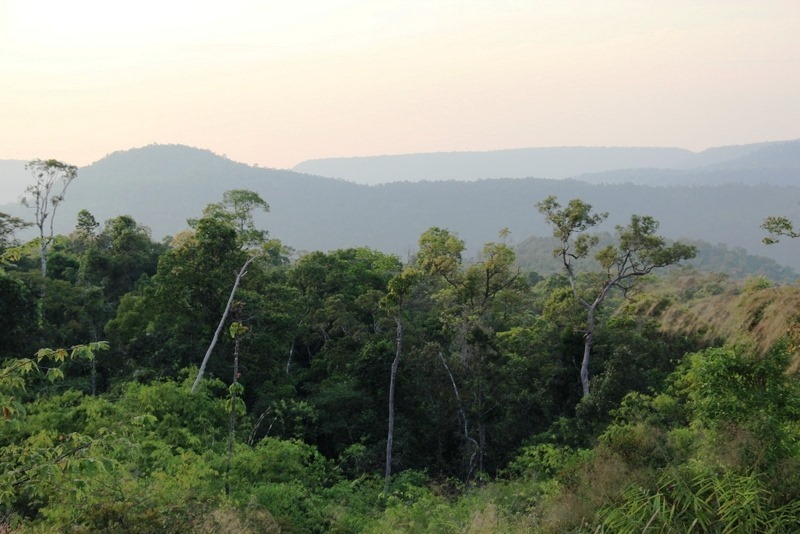 The forests we saw were generally intact. 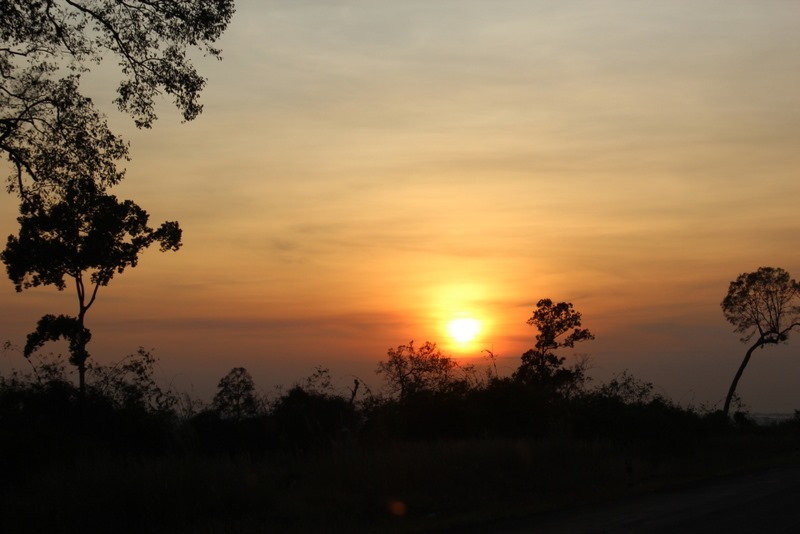 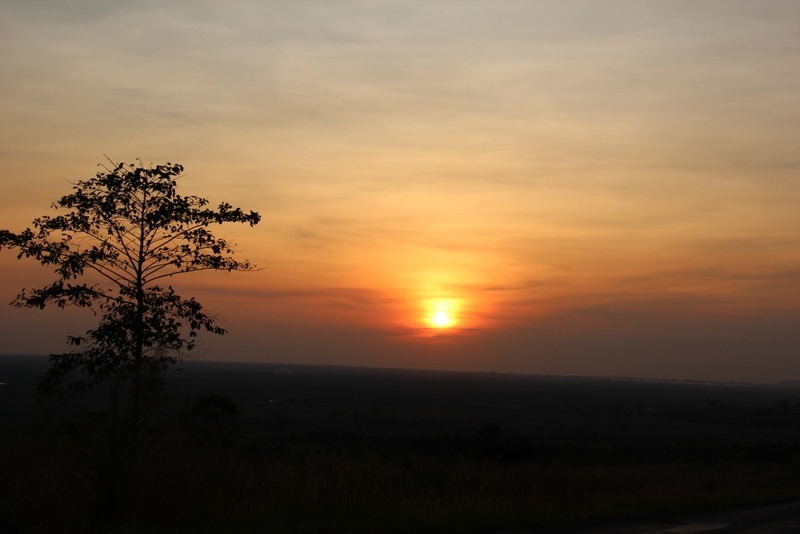 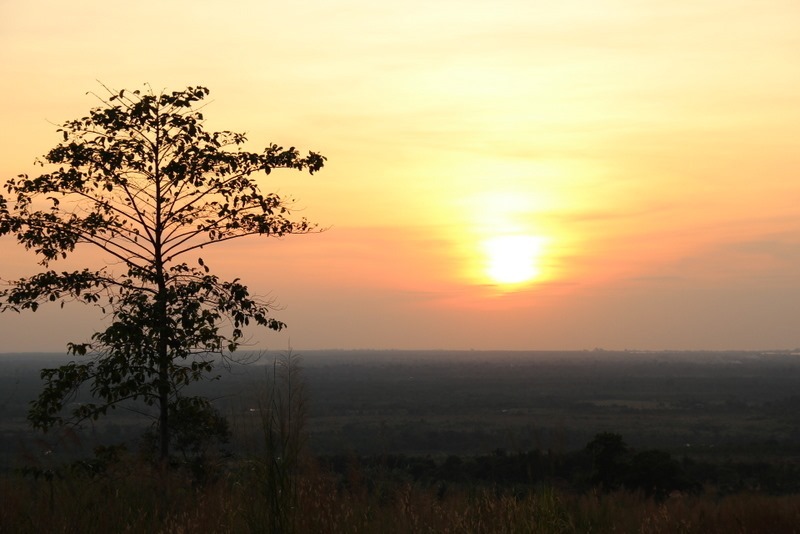 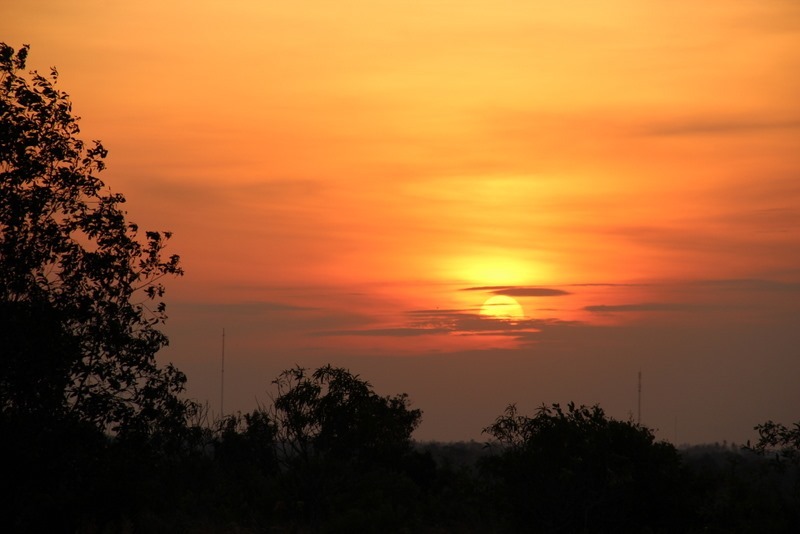 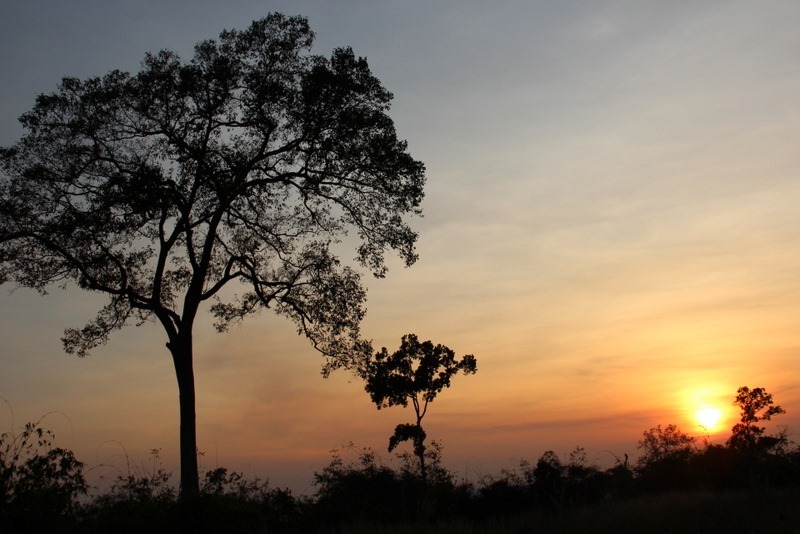 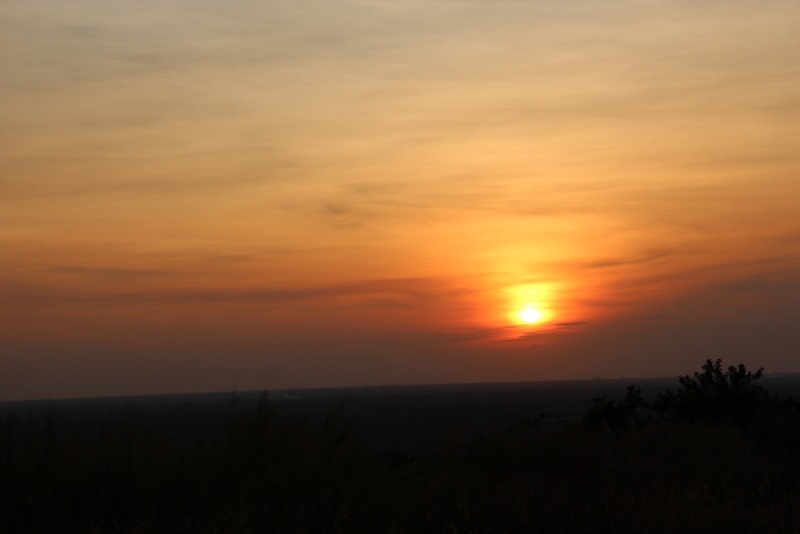 At the end of our wandering in the Cambodian wilderness, we were treated to a gorgeous sunset. 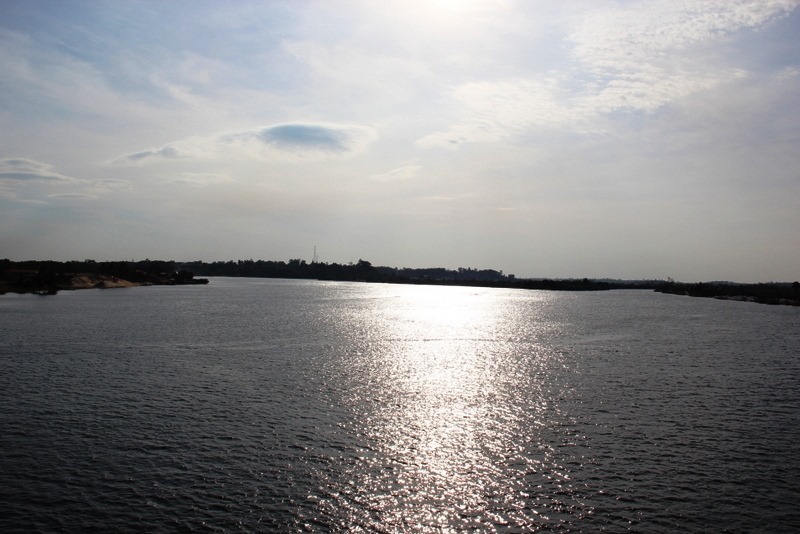 Beautiful Captures – love seeing the Coast on other Countries:) Happy Traveling!! !